From our perspective, it is important to sample when the consumer has the time and the need. This has led to our strategic sampling concept at Center Parcs, where we focus on families with children. 75,000 Welcome Boxes from each edition are distributed at the 9 Center Parcs parks in the Netherlands and 25,000 in the 3 parks in Belgium. All these boxes are packed with great care and love by WSW company Patijnenburg. The Welcome Box will be presented to all Center Parcs visitors in the Netherlands. An ideal moment to experience your brand. It is possible to add an advertisement, recipe or advertisement to the Welcome Box brochure. This will raise even more attention to your brand. Over the years we have collected results from more than 100 products within 30 product categories. In this way we can give a good picture of the expectations of a sampling campaign at Center Parcs. The feedback program consists of 2 parts. On the one hand, at the time of use of the product and, on the other hand, after 6 months. Feedback at the time of use. Have you or someone else used the following products? Did you know the product? Are you considering buying this product in the future? We measure usage, product valuation, product awareness and repeat purchase intent. How often have you purchased this product in the last 6 months? How often did you buy this product before you received the Welcome Box? Did you also buy the product if you had not come into contact with it this way? We measure the number of sales after 6 months compared to the time of sampling and the extra percentage of consumers who have tried the product by sampling. Read our article about 6 months feedback here. The packing takes place at WSW company Patijnenburg in Naaldwijk. For the employees this is one of the nicest projects to work on. 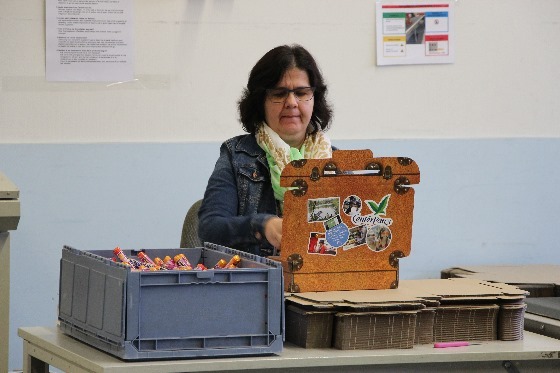 Every day, nearly 1,000 Welcome Boxes are packed by the employees of the social workshop. 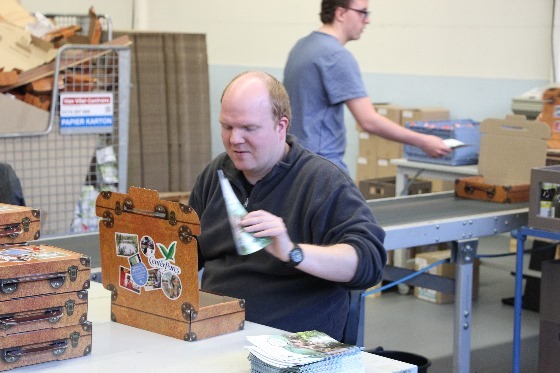 Daniël says: “I think it’s fun (working for Center Parcs or packing the Welcome Boxes). I have been doing this work for a long time but the work always varied “.